It is important that we provide you with the best possible communications services and experiences. To help us do so, we invite you to complete our 2017 Annual Customer Satisfaction Survey. Your feedback is a valuable tool to help improve the experiences of our customers and will guide us as we grow and adapt to meet your changing needs. 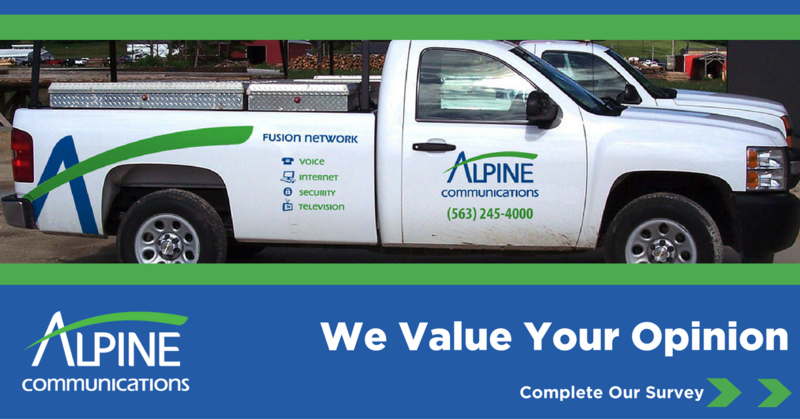 We appreciate your input and will use it to help determine the future direction of Alpine Communications. Please provide your feedback before January 16, 2017 and you’ll be entered into a drawing to win 1 of 10 bill credit prizes (1 – $100, 2 – $75, 3 – $50 & 4 – $25)! As always, thank you for your time and we look forward to hearing from you. ← Merry Christmas From All of Us!